PlayerUnknown’s Battlegrounds has not been making headlines that much lately. Bluehole seems content merely to chug along as Fortnite steals the spotlight almost daily. Mostly this is because there have not been any significant positive changes to the game worthy of reporting. Well, it appears PUBG Corp is looking to shake things up and rattle Fortnite’s cage with some new cosmetics. 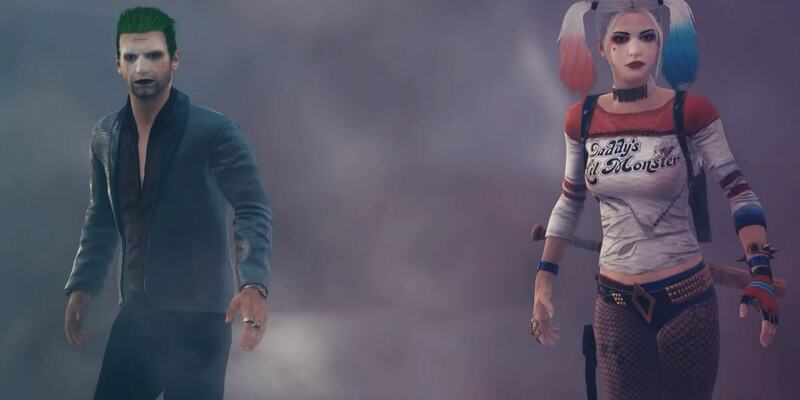 The studio announced via Twitter that it has partnered with DC Comics to bring two new skins to the game — namely the Joker and Harley Quinn (Suicide Squad versions). A trailer accompanied the announcement, but it did not give away too much in the way of details. It shows the skins in action. However, there is no release date mentioned, it just says, “Coming soon.” It also does not say how much the cosmetics will cost. That leaves a lot to wonder about — are the skins going to be part of a new DLC or game mode? It’s anybody’s guess until PUBG is ready to release more information. If PUBG is following Fortnite’s lead, the two characters might be part of a limited-time game mode. FortniteIntel notes that Epic did a Fortnite/Infinity Wars mashup back in May that featured Thanos and the Infinity Gauntlet. PUBG may be planning a similar experience. After all, just running around dressed up as Harley Quinn and Joker in vanilla Battlegrounds doesn’t seem to make much sense. We’ll have to wait and see what Bluehole has planned for the introduction of the skins — it had better good though. The recent downgrading of the Xbox version’s graphics and the dip in concurrent players back in September does not bode well for the battle-royale shooter. If the skins come with some decent content to go with them, it might prop the game back up. Oh, wow, they actually managed to make Suicide Squad Joker look even worse. I'm impressed. They cant make it look like Margot Robbie or Jared Leto, the management would want a piece of the $$$. What do you mean will "soon offer" these skins. P4wnyHof had the Harley Quinn outfit on his male avatar except with red/blue shorts. It looked... disturbing. My flatmate thought it was a gay Captain America. Dead franchise meets another dead franchise, together they are... ..not any more interesting.